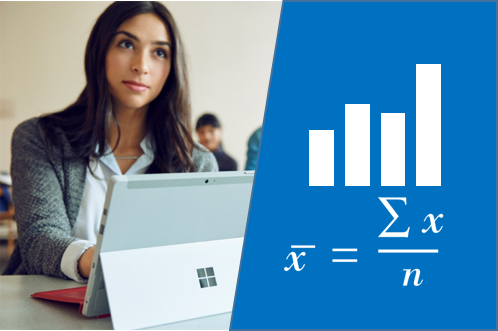 "Data Science Orientation" is the first class in the Microsoft Professional Program (MPP) for Data Sciences. This class is a warm-up exercise for the larger program. It outlines the 10-part certificate process and introduces you to five current data scientists who answer questions about their career. Are you wondering what skills and personality traits will help you succeed as a data scientist? The professional interviews offer practical insight on those topics. The enthusiasm these persons have for their career is contagious. Hearing them speak is just the sort of encouragement one needs while embarking on the MPP courses. The video sequence then walks you through the fundamentals of statistics. Topics covered include variable types, populations versus samples, descriptive statistics, variance, correlation, T-tests and ANOVA. The authors use a fictional example of a lemonade stand to explain the topics. This part of the video sequence was just "ok". If you've had prior statistics coursework -- the treatment here may help jog your memory on topics. I found the presentation of these technical topics to be a bit "clouded" in their delivery. As part of the class, they provide a PDF study guide. It gives you an accurate sense of the statistics topics covered in this class. It emphasizes the calculation of measures more than the practical uses of measures. The class assessment consists of a dozen multiple choice questions and an Excel-based lab with questions. As with any of the courses in the Professional Program series, you can audit them for free. If you pass the course and want to prove this to others, pay for the class and get the certificate. You can take this same approach with every course in the MPP series: Audit, complete, upgrade to certified. Doing it this way does not affect your classroom experience in any way. If you want to gain data science and analysis skills, I would encourage you to take this course. Please see my other reviews for the remaining courses in the Microsoft Professional Program for Data Science.